Before spending on a capital piece of equipment like a label applicator, due diligence will usually require you obtain a number of quotations to compare; this is especially the case if you have not used label applicators before. You want the best value piece of equipment that fits your budget to apply labels. This article seeks to assist you in logically prioritizing the quotes you have received and to help point out the key targets that must be satisfied. Here it is important to understand that the price and the cost of a machine are very different. A very cheap labeling machine can cost far more than a medium priced machine if that machine causes significant line downtime with slow and difficult set-up procedures or unreliable mechanics and electronics that break down and need replacing. Imagine your line down for a day or a week with your staff still needing to be paid and your clients being let down with supply, not to mention your lost profits on your product. A medium priced machine can cost more than an expensive machine if spare parts pricing is prohibitive or if machine service and back up is difficult because that machine does not have well thought out design features to facilitate fast over the phone fault finding or onsite swap out and replacement of parts. 2.0 Who really listened to you? Looking at your quotation there will be some quotations that stand out because the people providing you with your quotation appear to have really “listened” to what you want rather than supplying a machine they want to supply you with template quotations. Quotations from people who listened are a good sign that you will be listened to in the future with after sales service and advice. 3.0 Were you dealing with a pawn or the king of the organisation? Many machine sales people have little to no technical or management background so they will find it difficult to properly understand your requirements on these fronts. It is often far better to be dealing with some-one senior in a small to medium sized company who can assist in all facets of the machine supply from machine proposals to machine maintenance and operational advice. These key company people value long term client satisfaction and feedback far more than say a sales executive/manager in a large organisation. A supplier boasting a big service team can indicate great after sales service but it can also indicate there is another self-funding business operating within that company. Spare parts are often a quick and easy way for machine suppliers to make fast money supplying parts you would find hard to source and charging out relatively low paid employees at top dollar rates. There is little incentive in such an organisation to solve your problems over the phone as they have a team that needs to charge out their time and needs to sell parts to make budget. A supplier of well-designed labeling machine like the LabelOn™ modular should be able to advise that well over 95% of machine problems can be sorted out over the phone and possibly with the courier of parts. Machines that rely on service technicians to be available for a visit to sort out a problem can indicate machinery is not that well designed for intuitive fault finding and repair, machine records are not available for the client or a high maintenance budget is inevitable. When is it Time to Buy a Self-Adhesive Labeling System? Many entrepreneurs or budding companies are approaching the retail or wholesale market with a product that has great potential to obtain good market share or even carve out a new market. Other companies are expanding their range or expanding their production capacity. 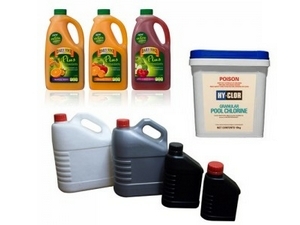 All are faced with the same question; when is it time or when is it justified to spend money on a Label applicator. To answer this question there are four potential payback areas for automating your Label application. Compared to manual labeling or even semi-automatic labeling an in-line pressure sensitive label applicator will typically lift labeling speeds from below 15 pieces per minute to up to around 80 products per minute for most applications. Some round products that require orientation and then labeling may typically be automated at between 35 and 45 pieces per minute. This can eliminate a bottle neck in your facility and allow for fast turnaround of medium and large orders. Overcoming the typical shortfalls of manual labeling like label creasing and inconsistent label placement will make a world of difference when presenting your product to the market. First impressions count and if you have a new product ready for the market you must be acutely aware of how quickly an initial impression is formed by people based on the first few seconds of simply looking at the presentation. Companies just starting out can still achieve automated labeling results by insuring their initial production runs are labelled with automated labeling systems at contract manufacturers or even hiring systems. A Labeller is often the first piece of in-line equipment purchased by a company beginning to manufacture in house. Good systems will be Modular and have a versatility to handle a great range of shapes without any change parts or very minimal change parts. In-Line labeling machines will typically have a conveyor of length 3.0 meters or less and can feed on to accumulating tables or near the end of a collection and packing table where operators remove, inspect and pack the finished goods. One area of underestimating costs for those starting out in business is the time and cost of manually applying labels. Apart from the “costs” associated with the first three considerations listed above there are significant labour costs to be saved. In the west, the real cost to manually label a container or product can typically range anywhere between 3 cents to 20 cents per container. Manual labeling can rarely be maintained at a pace of more than 15 Labels per minute and more usually ends up being closer to 6 labels per minute (1 every 10 seconds). In lower cost manufacturing regions like Asia this may only work out to be 2 cents or less per label. In higher cost manufacturing bases such as Australia, Europe, the USA or South Africa this labeling cost is more likely to climb closer to 5 cents per label per product. Do not forget some products have two labels or even three labels. Some companies may be able to realise benefits in all four areas listed above immediately and others may be able to justify the purchase of a labeling system based on just one of the above criteria alone. When thinking about a labeling system it is important to consider all four significant reasons listed above and how they might apply to your situation. Machine suppliers providing the Label-On™ modular system of labeling can quickly help you determine if you should move to a more detailed machine proposal and subsequently move through all things considered formal machine proposal. When there are unknowns for a supplier or tradesperson that needs to quote you for a job their only responsible way to quote you for the Job is to find out all they can about your job and then quote you a price that will allow for what is known and add a “contingent factor” into the price. If all goes to plan in providing the service and very little unknowns affected the Job the supplier ends up making more money from the Job. On the other hand if there are a great deal of unknown factors that impact the, Job the supplier could stand to lose money if they have not adequately allowed enough of a “contingent” factor into the price. When a supplier finds out they stand to lose money on a Job they may “cut corners” or do the “bare minimum” to fulfill their obligations or even worse they may need to abandon the job with losses to everyone. The more experienced supplier or tradesman, with excellent reputation will approach a Job by taking the time to thoroughly understand the job and insure their client also thoroughly understands the job. Such experienced suppliers will be able to minimise the unknowns in a Job and be able to accurately quote for a Job without unfairly high “contingent” factors into the price. These suppliers know a problem properly identified is more than half solved. These suppliers will usually have good experience in identifying the “tyre kickers” and the “free-loaders” looking for someone to half solve their problems with no intention to work with the supplier but rather tender the now “half solved” and very well defined job to anyone who says they can do that job at the lowest price. The supply of self-adhesive labeling equipment is very much a problem that needs to be “half solved” through a process of identifying what is involved thoroughly before moving on to the quotation and eventual supply phase. The less information your potential supplier “requires” before they provide you a quote the more likely there is either a higher “contingent factor” added to the price or there will be important parts of the project overlooked or even unsatisfied. An experienced machine supplier like LabelOn™ will take you through a thorough process of identifying what needs to be known before giving you a price for the machine they will supply. Those looking for a fast budget figure from LabelOn™ will be given a realistic price range that will be narrowed down at the time when a formal quotation process can be commenced. So what will your self-adhesive labeling machine supplier need to know? For self-adhesive labeling bottle shapes are classified into Flat-Sided, Oval and Round. Within the Round classification there are sub classifications of cylindrical, tapered and those with an orientation feature. The most likely orientation features on a round product include handles or flat panels, markings or the need to orientate the body label with another label or marking already on the round bottle. Bottle sizes are defined by their height, length and thickness. In the case of a round bottle it is the height and diameter that will usually best describe their dimensions. The bottle label or labels will be supplied in rolls. The range of label roll diameters and heights are important information to include in any machine proposal. The label panel on a product is the area on that bottle where the labels are expected to be placed. It is important to identify if the product labels need to be placed on a recessed surface on the bottle – especially for round bottles. It is also important to know if the product label area leaves enough room for the typical variations in bottle dimensions added to the typical variations of label placement for that shape bottle. In the case of round bottle labels it is important to know if there is a single label or more than one label. For the single label it is important to know what percentage Wrap the bottle label will be. After gathering this information in writing pictures illustrating ALL the gathered information should be collated for machine proposal records and insuring important considerations are not left out. Labeling does involve more than just understanding the products and the labels it also included understanding the production environment and requirements. Questions about the available space in the production environment the height of any existing conveyor’s and the speed of any other inline equipment should all be taken into consideration. The likely skill of the operators can also affect the minimum level of equipment that can be offered for example very skilled operators may be able to work with less expensive equipment and intuitively know what adjustments will affect the labeling. In the case where operators need a machine that is intuitive and easy to adjust they will look to pay for these features in their machines which quickly pay for themselves in the real production environment. Before you approach a supplier about labeling equipment it is a good idea to obtain a quick budget range of pricing. If that range of pricing works for you then insure most of the above listed considerations are thoroughly covered in any subsequent formal quotation that is presented to you. A machine can be a masterpiece of forethought and engineering. One machine can look very similar to another yet it is the thinking of the Engineers who design the machine and the evolution of the machine’s development that determine the “character” of the machine. In this article we examine one of the more critical and challenging functions of the label applicator where the machine must pre-orientate the products prior to labeling. In the end, the only thing that begins a label feed is a product sensor. From the point of product sensing to label application there is a programmed delay before a label is fed to meet the surface of the product. 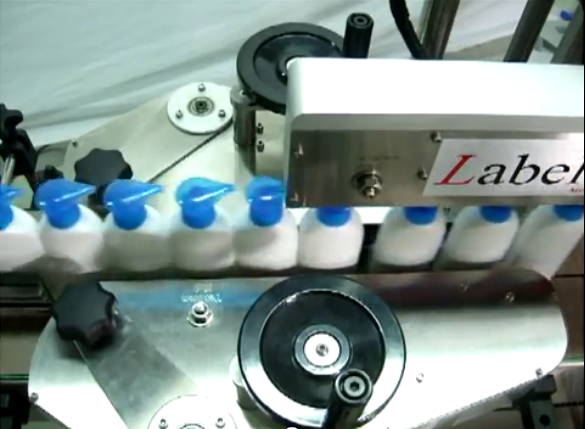 Two identical bottles can end up with very different label placements if they enter and move through the machine with different alignment or a slight tilt. The method most commonly employed is Aligning Chains as this provides for a module that provides a significant amount of alignment for a range of oval products without the need for change parts. While it may appear less critical how a round bottle is orientated prior to its , in most cases a round bottle will need to enter into an area where it is spun while a label wraps around its outside. The round bottle needs to commence its spin smoothly and predictably from bottle to bottle. In this case guide rails are critical but so too is the speed matching of the conveyor speeds involved. The geometry of a round bottle is such that if you spin a round bottle’s surface at twice the speed of the conveyor it sits upon, the base of the bottle will continue to move at the same speed as the conveyor. Keeping Your Old Labeling Equipment – Is it Worth It? As belts tighten there are plenty of manufacturers holding onto old line equipment and getting the best performance they can out of that equipment. The penny wise pound foolish operators often think they are smart picking up old equipment from Auctions or simply holding onto equipment well beyond its use by date. In some instances the packaging equipment that can be picked up cheaply at auctions and fire-sales is remarkable value and in others cases it’s a money pit or bottle neck to operations. In a packaging line it only takes on piece of equipment in the line to diminish the value and capacity of all the other pieces of packaging equipment. Where packaging equipment is effectively not electronic in its nature and controls older equipment can be very close in function and performance to newer equipment. In the case of a machine it is electronic in its operating nature and its controls. Good self adhesive equipment has electronic speed control, electronics speed synchronising and an advanced electronic control menu for storing job parameters and making fine performance adjustments. 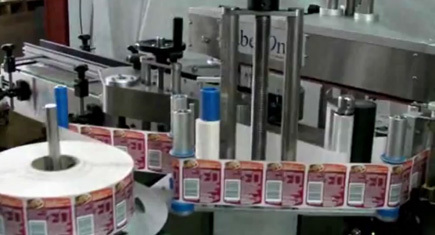 The LabelOn range of labeling machines is a good example of what current machines can incorporate. When a LabelOn label applicator is put alongside a 6 years or older machine operators quickly realise they have been wrestling with a white elephant that has cost them production time and significantly impacted on their final product’s appearance. Good production managers will realise the worth of having staff that are confident with the equipment they operate. That confidence extends beyond how easy the machine is to operate it also extends on the level of support available for that equipment. It is quite common for inquiries to come in for help on servicing an old machine of some unknown or now unsupported sticker machine. If your production staff or if you find yourself sending out blind and hopeful emails asking for technical support for an old piece of equipment, unless your company is in absolute desperate financial distress it really is time to look at some decent new equipment. 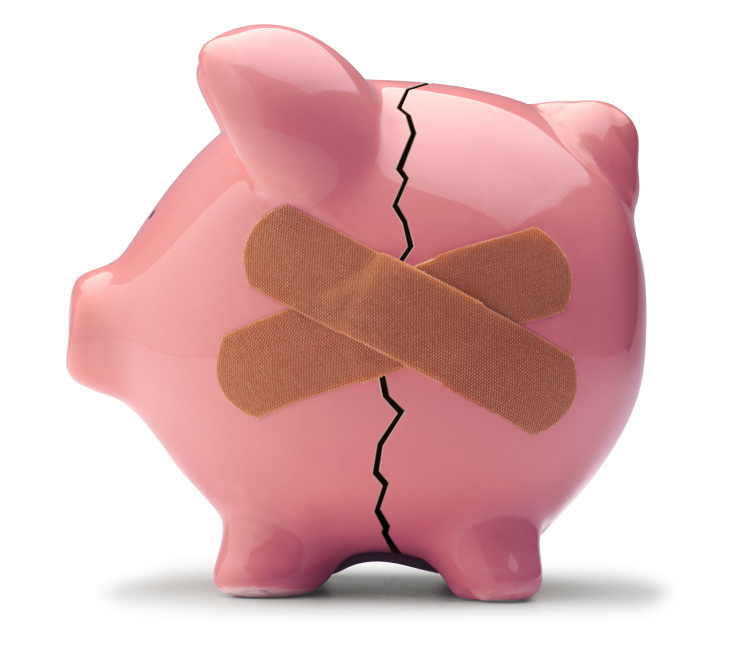 Like old cars, old packaging equipment becomes less reliable and more expensive to maintain. Worse still your old label applicator could be causing a big traffic Jam in your line resulting in your overall production and bottom line being lowered; add to this the messed up face of your product’ appearance and you have a no brainier decision to make – stop being such a spend thrift and invest in your business. Modern labeling machines like the LabelOn range make use of today’s technology so that your machinery can be set for a large range of different shapes and sizes and still feel as if every job it does is done by a machine tailored to that specific job. On closing there is also one more big pointer to knowing when it is time for a change in you self-adhesive – if you are being quoted thousands of dollars for a motor driver or over $300 for rubber based components you KNOW it’s time to release the shackles of that old equipment bound to your organisation. Many countries provide businesses with ways to claim depreciation on capital equipment or even allow capital equipment to be placed on a completely tax deductable rental arrangement. How many countries provide any tax relief for lost production time, production staff confidence or diminished product appearance?